San Diego Burial at Sea has several sea burial pricing options and many yachts to satisfy the needs of all our families, making sea burial an affordable option for all. We realize this is probably your first experience with such a venture and are pleased to answer all your questions and help you choose the options that are right for your family. Our funeral directors on staff ensure the paperwork is done correctly. Their expertise is very beneficial in assisting with the design of the service – making it unique to each family. Please call and we can give you recommendations on what best fits your needs. You may wish to review some additional options which can help make your burial at sea – ash scattering experience more unique and memorable. Our sister company “Funerals Your Way” (FD: 2188) is a fully licensed funeral home in San Diego, thus we can arrange both the cremation as well as scattering at sea. Often we scattering near San Diego Bay, but can service other locations a well such as Ocean Beach Pier, Crystal Pier, La Jolla, Torry Pines, DelMar – travel costs vary. With our pricing guidelines we try our best to make the “Burial at Sea” option available to all families. The price really depends on two factors – ash scattering location and number of people attending. In general, the more people attending, the larger the yacht needed. We have over a dozen yachts to select from and can accommodate up to 124 people. We have tried to establish policies that are both fair to our families and to us at the same time. We do try to be as flexible as possible, so as to give our families the best possible experience with our business. We require a charter deposit when you reserve a yacht, with the rest due at the time of your charter. We accept most common forms of payment such as MC , Visa, American Express, checks and cash. Your credit card serves as a damage deposit, so remember, you are responsible for the conduct of your guests. By canceling 15 days before your scheduled charter you incur only a 10% administration fee. Canceling less than 15 days in advance will cause you to incur a penalty of 50% of the yacht charter rate. Canceling the day of the scheduled charter you will forfeit 100% of your charter fee. In most all service industries gratuities are appreciated, but we do not include them in your charter price. If you enjoy your charter please show the crew your appreciation, they will be very grateful. Our main office is located at “Shelter Cove Marina” on the east side of Shelter Island, but your departure locations will depend on the yacht you have selected for your charter. Complete information for your specific charter is emailed to your after you book. This information includes pickup location, what to bring and wear, pricing details etc. You will also be sent a email link that you can share with your guests with maps attached. We can depart from locations other than where the yacht is home ported, but most hotels charge a docking fee ($100-$200). We will also need to charge you a remote fee travel time of $100 – $200/hr. This should be arranged at the time of booking. This is San Diego, so having to cancel because of bad weather is very rare. The yacht is enclosed, so you will have a great charter even in the event of not perfect conditions. In the case of storm conditions it may not be appropriate to go on the water and we may have to cancel. 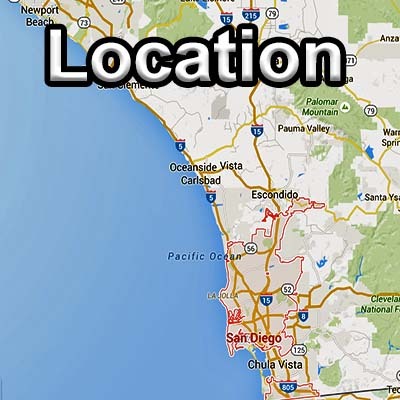 However we realize that people do fly in from outside San Diego, so we do our best to perform the scattering. You have the option of rescheduling or getting a complete refund. If your event was to be catered, the caterer will deliver food to your desired location.